The University of Hawaiʻi at Mānoa offers an extraordinary variety of academic opportunities and experiences in a unique Hawaiian place of learning. We invite you to become part of our UH ʻohana! 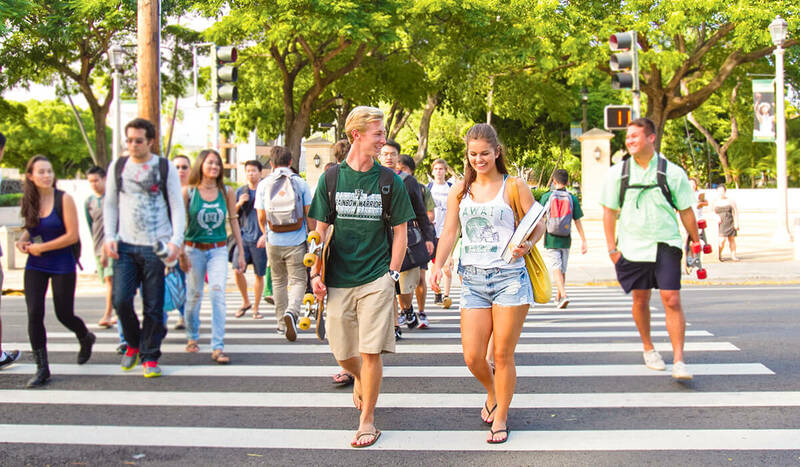 All University of Hawaiʻi campuses use a common System Application Form for undergraduate enrollment, however, applications are submitted to and processed by each individual campus. Please visit Undergraduate Admissions to review the admission process, or to ask questions, before submitting an application. Ready to apply? Then complete the online application. In addition to our undergraduate, graduate, and degree programs, the university also offers an extensive range of exciting choices for continuing education and for short-term educational options in Hawaiʻi.